Karnataka: The move of the Karnataka state government inviting doctors to quote the price at which they are willing to work at rural areas, has drawn a massive response from the state doctors. It is reported that 2,883 applications have been received online against 1,212 vacancies that was advertised by the state government. New Indian Express now reports that a whooping 2,883 applications have been received till now, and the applications are still open. Highest number of applications are for Anaesthetist posts at 519 and General Surgeons at 436. Salary bids range from Rs 60,000 to Rs 5 lakh. The link is still active, and doctors can apply through the website www.karhfw.gov.in through a Google form link. One has to enclose the expected monthly emoluments in the application. Candidates can also call 104 Aarogya Sahayavani for information. By Saturday, DCs heading the contract appointment committees will finalise performance-linked MoU with lowest quote,” said Principal Health Secretary Shalini Rajneesh told New Indian Express. Final selection will be based on both the lowest quote as well as performance. The health department has included around 15 parameters to evaluate the performance of medical practitioners. 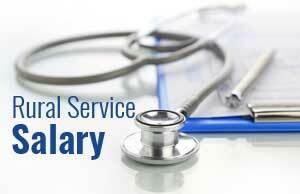 Salary bids range from Rs 60,000 to Rs 5 lakh. But the title of the article is \”Specialists quote Rs 5 lakh per month Salary to Work in Rural areas\” ..This website itself is anti for the doctors .. especially the author of this post seems to be a doctor hater and moronic. Will there be anaesthetic equipments in rural hospital for providing safe care to patients ? that is the least to work and they should have enumerated the facilities and the security arrangements to be provided. I think this will solve the rural health problem.